We are delighted to welcome great thriller writer Doug Preston as our Rogue guest blogger today. Doug is the author of thirty-five books, both fiction and non-fiction... New York Times bestsellers....several reaching the number 1 position! 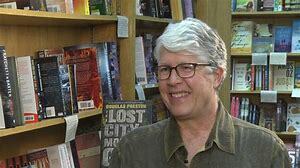 This great writer has worked as an editor at the American Museum of Natural History in New York and taught nonfiction writing at Princeton University. He is known for collaborating with another terrific author, Lincoln Child. 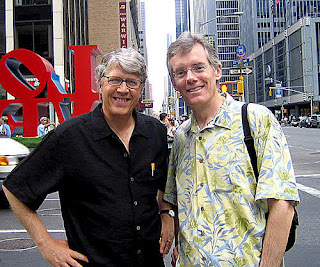 Publishers Weekly describes the duo this way: they "stand head and shoulders above their rivals." Doug wrote his first novel, RELIC, with "Linc" and it was made into a movie by Paramount Pictures. One of the most common questions a novelist gets is, Where do you get your ideas? Often the ideas come like a bolt out of the blue with no known source. But others often come out of our life experiences—especially my work as a journalist. Linc and I have an unusual way of working. He will often read some article I wrote for a magazine, ponder it, and come up with an amazing idea for a novel. RIPTIDE was borne this way, from a novel I wrote about the Oak Island treasure in Smithsonian Magazine. Read it here . When I wrote an article about prehistoric cannibalism for the New Yorker, Linc read it and came up with the idea for THUNDERHEAD. This is how it often works: I’ll research some strange phenomenon, and Linc will work his imaginative magic on it and turn it into a brilliant novel. The Gideon Crew series is one where this method of working has been particularly fruitful. 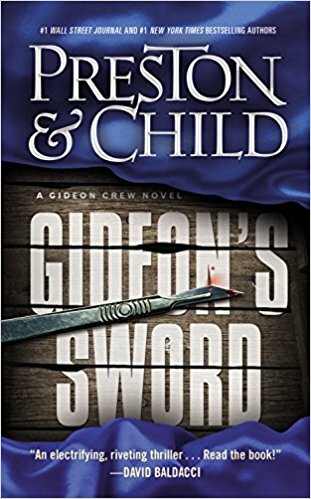 The first novel we wrote in the series, GIDEON’S SWORD, came out of research I was doing on historic burial grounds. I stumbled across an article on the web about Hart Island, the largest “Potter’s Field” in the world, where the indigent dead from New York City have been interred since the Civil War. I learned that there is an area on Hart Island where amputated limbs from hospitals are buried, even though the original owners are still going about their business, very much alive. This was due to certain religious beliefs, in which human body parts must be buried with religious rites and not discarded as medical waste. I told Linc this idea and he came up with the brilliant concept that a scientist is smuggling an object of immense scientific value into the United States hidden inside the flesh of his leg. He is involved in a car accident, the leg is amputated and buried on Hart Island—and then it has to be retrieved. That retrieval involved a scene of dueling backhoes and other excitement. 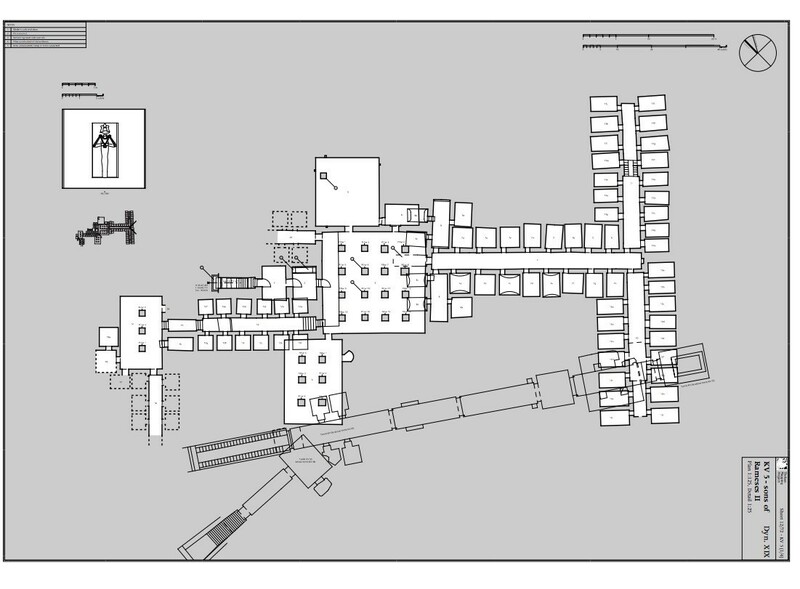 An archaeologist named Kent Weeks had discovered a new tomb in the Valley of the Kings in Egypt, known as KV5. It turned out to be the largest tomb ever found in the valley—the final resting place for the fifty or so sons of Ramesses the Great. The tomb was vast. 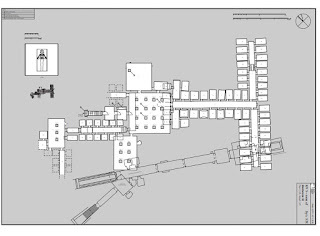 At the time I arrived, Kent and his team had already uncovered 97 rooms in the tomb, many of which were blocked by debris and had not yet been entered. When I was a child, I often fantasized of being the first one to enter an Egyptian tomb, but when I grew up I realized that all the tombs had been discovered and even if one or two still remained, I’d never be the first in one anyway. But when I got to KV5, I realized that maybe my childhood dream could come true. I asked Kent if I could be the first one into one of those blocked chambers. “It would make a great ending to my article,” I said. He directed his archaeology workmen to break through the debris blocking the very top of the door below the lintel, making a hole big enough for a person to fit in. Two workmen threaded a light in a cage through the space and then, to my consternation, picked me up and shoved me head first through the opening. I fell into the room, choking in dust, rubbed my eyes and looked around. “What do you see?” I heard Kent’s voice from outside. The room was, in fact, trashed and thoroughly robbed, the ceiling partially caved in, with nothing but broken stuff lying all around—and not a hint of gold. Later Kent told me I had given him one of the worst moments of his life, thinking that he had just ceded a fabulous discovery to some unworthy journalist. This long-winded story finally brings us back around to THE PHARAOH KEY. Linc read that article I wrote in the New Yorker and was captivated. “We’ve got to figure out how to turn this into a novel,” he said. We talked about it, and talked again, but we just couldn’t come up with that stunningly original idea. That was twenty years ago. Every few years, he’d bring it up again. “Surely there’s some way to turn your Egyptian experience into a novel!” and we’d brainstorm again, and again, but we were never satisfied with our ideas. Ancient Egypt, it must be said, has been thoroughly mined by fiction writers. We just couldn’t come up with that truly original idea -- one that would surprise, thrill, and delight the reader. That is, until two years ago, when Linc once again brought it up. We brainstormed yet again—and suddenly the central idea to THE PHARAOH KEY popped up. That’s it! We cried. Finally we had that truly original, unexpected, and fresh idea that had not been used by anyone else, but was historically accurate and believable. The company Gideon Crew and his partner Manuel Garza works for is suddenly shut down and the head of the company, Eli Glinn, vanishes. The two are given an hour to collect their belongings and vacate the premises. It is the most ignoble of terminations -- until they decide to rip off EES on their way out. What they steal is a translation completed by EES of a three thousand year old clay disc. The “translation” turns out to be not a translation at all, but a strange sort of map to a desperately remote location in the Eastern Desert of Egypt. But it says nothing about what is there—it only gives the place. Is it a tomb? Buried riches? The lost gold mine of the pharaohs? Gideon and Garza, angry at having been fired, decide to journey to the unknown place and, if they find anything of value, steal it from EES. What an incredible story. Thanks, Doug, for sharing your research with us here on Rogue Women Writers. Now, I hope you will leave a comment and share your own methods of research (whether it's for writing a story, planning a trip -- whatever) and tell us how it all compares with the terrific work by Douglas Preston and Lincoln Child. I have THE PHAROAH'S KEY on my bedside table, beckoning me. What a wonderful way Doug & Linc work, a true partnership, and it's reflected in how adventurous and enjoyable their books are. I also love their standalones! Thanks for joining us, Doug! So glad you got to be the first into the tomb and sorry it was trashed. Love your books-the non fiction as well. Looking forward to reading THE PHARAOH KEY and thanks for being here! Have read every word published by Linc and Doug separately and as a team. Right now rereading Relic. Excellent writers. I love the story of being the first into the tomb. A true Indiana Jones. 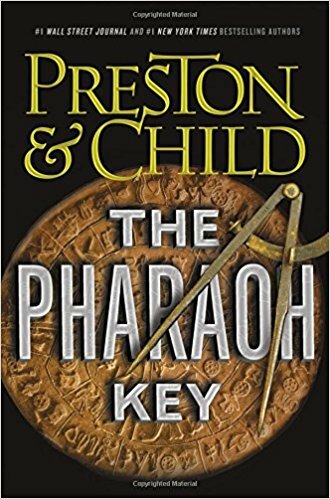 Having the backstory to THE PHAROAH'S KEY only makes it more intriguing. I can't wait to read it. I also love the insight into your collaboration. It must be fun writing with such a lifelong friend. Fangirl, here. Absolutely love the story of being first in the tomb! 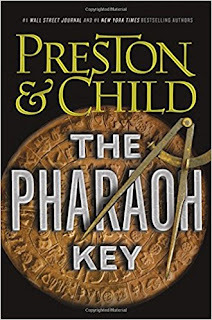 Can't wait to dig into THE PHAROAH'S KEY, especially now that I know the background! What a fun story! And don't be silly--there could never be too many entering-an-unknown-Egyptian-tomb novels!